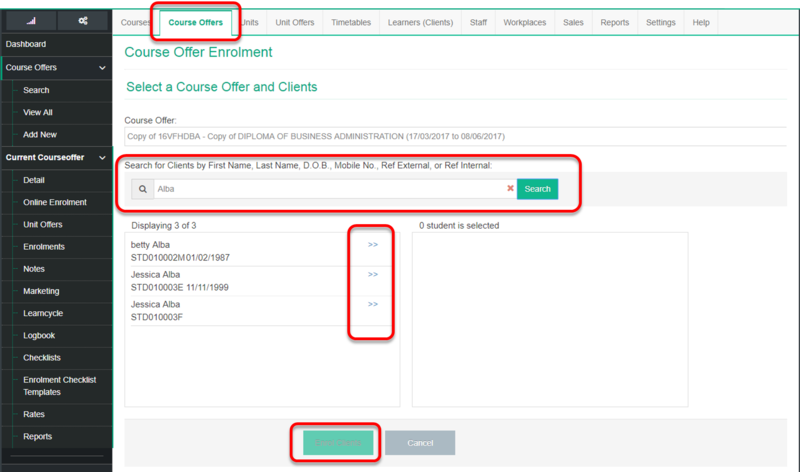 The following steps will allow you to enrol Learners into their respective course offer(s) and/or unit offer(s) once you have created Learners in the database. At the time of a course enrolment you can also modify unit enrolment details specific to the Learners that you are enrolling if you wish. 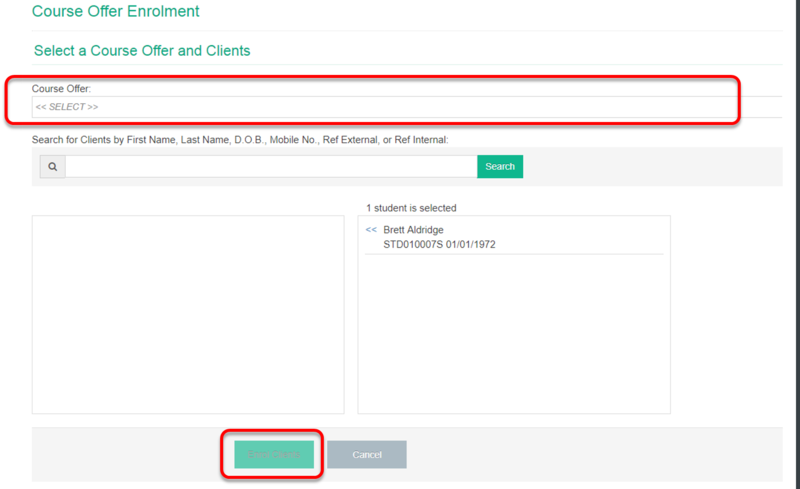 Do you want to add Unit Enrolments now? This is applicable if you chose Save and Choose Unit Enrolments in the previous step. Do you want to modify the Unit Offer details (e.g. change trainer and assessor details, set unit enrolment outcomes or set dates)? Each Country has their own unique requirement.